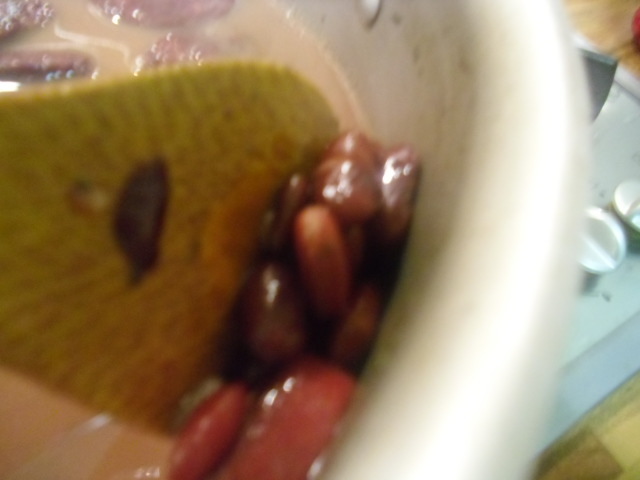 If I were on a deserted island and I could eat only one food for the rest of my life, I would eat red beans and rice. I know – that’s two foods, but in New Orleans, we don’t dwell on such technicalities. It’s red beans and rice. Period. 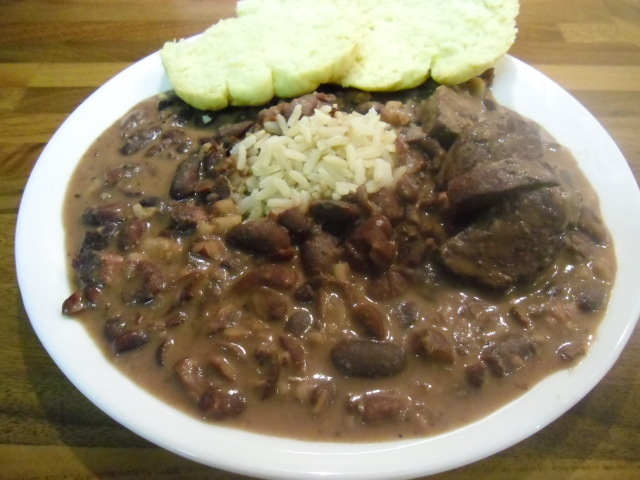 Traditionally, red beans and rice (the dish) is served on Monday. In the days of yore, Monday was wash day. When the wives were busy doing laundry out back, they cooked red beans and rice because this dish needs minimal supervision. Rinse and sort the beans. “Sort” means take out things that don’t belong, like pebbles and funky-looking beans. 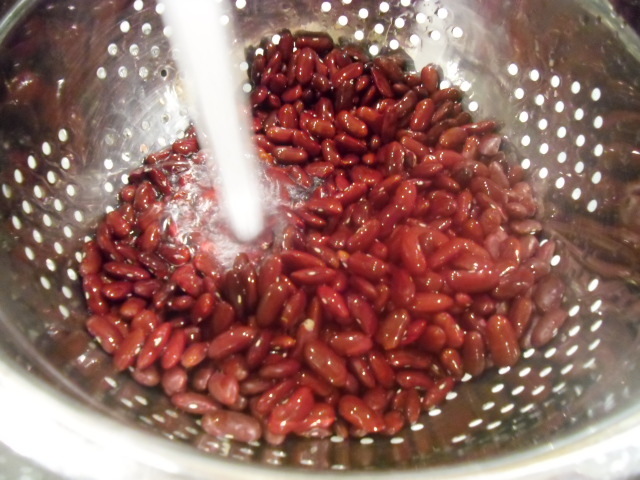 Place the beans in a 3-quart pot and add 2 quarts of water (or stock). Simmer over a medium-high heat until the beans come to boil. Reduce the heat to medium, cover, and simmer. Stir occasionally. 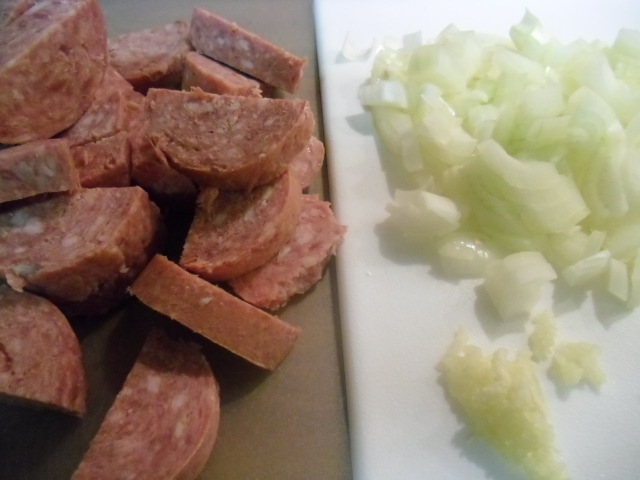 Meanwhile, chop the sausage, onions, and garlic. 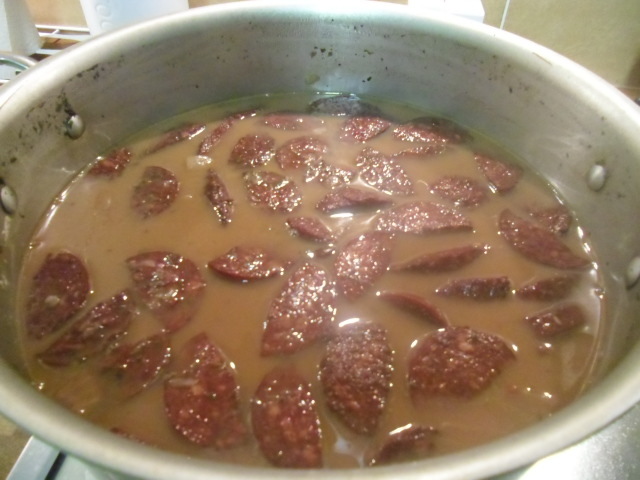 Brown the sausage in an iron or non-stick skillet over a medium heat. Remove from heat and drain on paper towels. 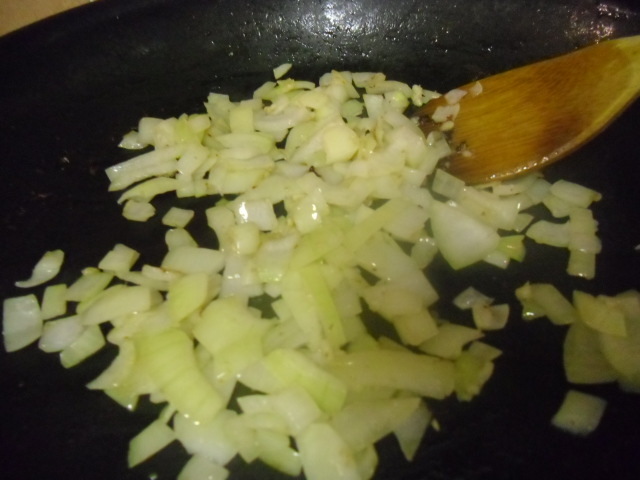 Add the garlic and sauté for another minute. 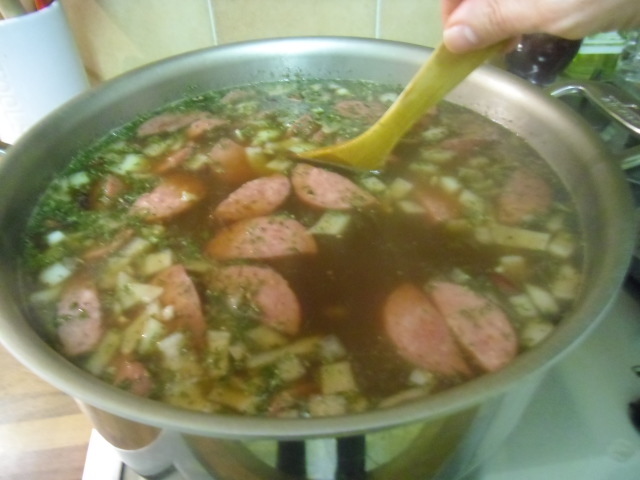 Add the sausage, onions, garlic, salt, pepper, and parsley to the pot of beans. 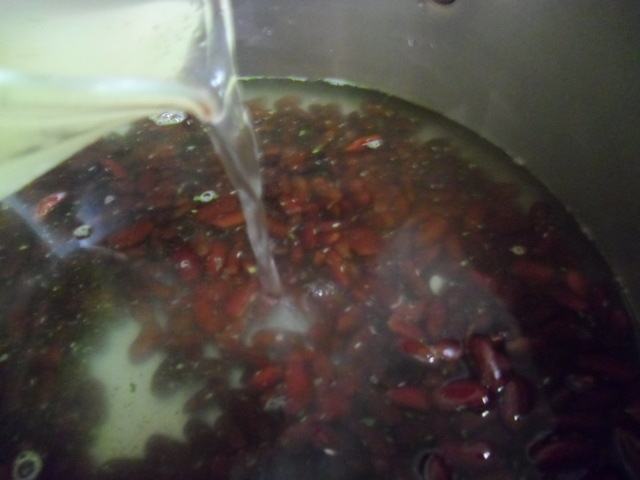 Bring to a boil again, then reduce the heat to medium-low. (enough time to do your laundry!). Stir occasionally. begin to “smush” them on the side of the pot, a few at a time. This is what makes the dish thick and not soupy. Do this from time to time over the next hour (between laundry loads). the ingredient that makes red beans smooth and creamy: cream! This is actually my secret ingredient. MawMaw used to add a tablespoon of bacon fat. 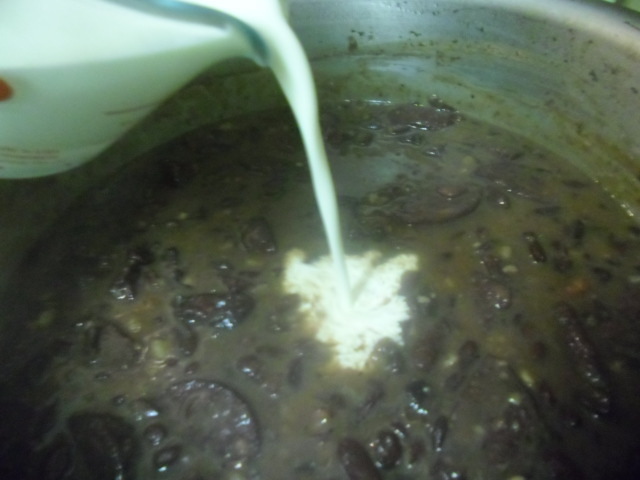 Simmer for an additional 30 minutes to let the cream blend in, stirring and smushing the beans occasionally. Serve over rice with hot biscuits or French bread. To die for – so worth the wait! I tell you to simmer them for 3 – 4 hours because the length of cooking time depends on how high your flame is and how old the beans are. Some just take longer to cook than others. 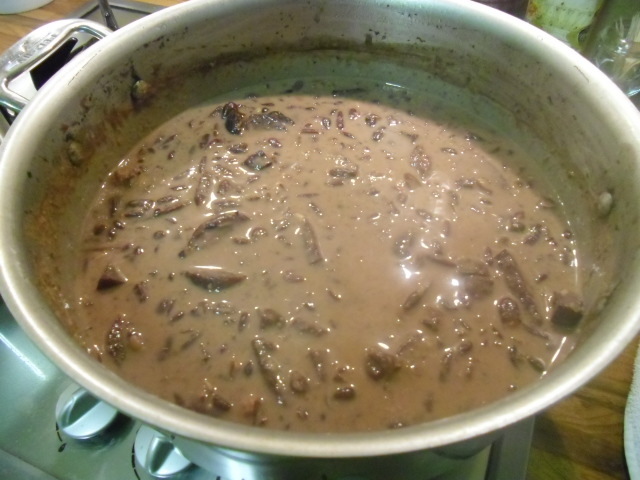 Just think that after you begin smushing the beans, you will have to simmer for another 1 – 1 1/2 hours, or as long as it takes to get a creamy consistency and soft beans.